When the opportunity to send second-hand computers came, the ladies of “The 601 Habit” worked together to make the project possible and doable. We learned that the number one concern of most schools from the rural areas is the lack of hands-on experience for the school children. This makes computer literacy a theoretical experience only which makes it hard to comprehend especially for children who haven’t seen computers in their lives. And so, we started to undertake the “Hands-On Philippines” project. Post by The 601 HABIT. Over two decades ago, information technology was already anticipated as the way to go and to advance. Indeed, the world now exists with information technology dictating the doing and undoing of things. South Korea has taken heed of the demands of information technology and has consistently made follow-throughs for its advancement. Today, South Korea is one of the most-wired countries in the world and it has openly embraced technological innovations for its wired culture. While the Philippines is not completely lagging behind in terms of technological proficiency, there are still areas that need exposure to the basics of information technology. Some schools in the Philippines do not have enough computer units that would allow the students to have a hands-on learning experience. For some who can use computers, they can do so at a limited time as they have to share it with 8-10 other students. How, then, can technological proficiency be fully achieved and maximized when students are deprived of the opportunity to have a hands-on learning experience? Thus, The 601 Habit endeavors to bridge this gap by tapping on South Korean companies who have the capacity to donate second-hand computer sets to school-recipients in the Philippines. Through this augmentation of computer units, students will have better chances for hands-on learning. The additional units will, hopefully, give the recipients more motivation to acquire computer-related skills so they, too, can keep up and they will have the appreciation of how an interconnected world works. We are very grateful to helpful people around who are ready to help. Mr. Jan Patrick Agustin, a graphic designer from the Philippines made this Hands-On Philippines logo for us for free in collaboration with Ms. Regina C. Pato for the project description. 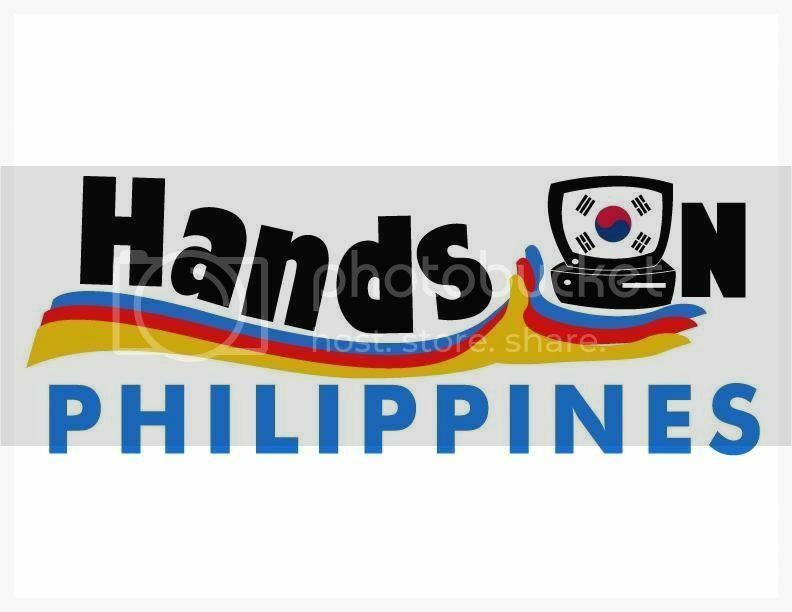 “The logo represents the main objectives of project Hands On Philippines: to donate second-hand computer packages from South Korea and deliver as many units as possible to chosen school-recipients. The monitor represents the computer units, which were donated by South Korean benefactors. The hands, which bear the colors of the Philippine flag, represent the Filipinos as the beneficiaries of the project. The hands also symbolize hands-on education with the use of technology.” – logo description by Ma. Regina C. Pato. For the first two batches that were delivered and received by the Hands-On Beneficiaries (see beneficiaries here: Post by The 601 HABIT), our generous Korean company donors are the KEPCO KDI and TSIS, Inc. We, from “The 601 Habit”, couldn’t say thank you enough.